In May of 2016, playwright Heather Raffo spoke with me about her collaboration with Epic Theatre and work with women in New York’s Arab-American communities. I asked her about the origins and development of their project. Raffo says, “Epic and I wanted to build the demand for an audience in the Arab American community of New York. … We wanted to go into communities that weren’t going to the theatre, and hadn’t thought about going to the theatre, and didn’t even find it relevant to their lives. So, we received a grant from the Doris Duke Foundation, and then I went into three different communities.” Those communities included a group of older female immigrants at the Arab American Association of New York in Bay Ridge, ten or so younger girls at the Arab Family Support Center in Brooklyn, and about fifteen students in their twenties at Queens College. During the first round of workshops, Raffo and director Ron Russell, co-founder and Executive Director of Epic Theatre noticed that the college students’ monologues related strongly with Ibsen’s play, A Doll‘s House. The group attended the Young Vic’s production of the play directed by Carrie Cracknell at the Brooklyn Academy of Music in the spring of 2014, and the next year began a Doll‘s House workshop using Epic Theatre’s “remix model.” This involves taking a classical play and allowing the participants to narrow it down to plot points, then connecting the plot points to their own lives in an original way, influenced by family and heritage and personal experiences. Yet for Raffo, there was more at stake in the project: “The other none grant-related goals were to see what they had to say in their own words and give them an opportunity to do it.” The writers have been encouraged by a steadfast mentor and by larger communities as well. Prior to the April reading, there have been public readings of the students’ monologues with professional actors for their peers at Queens College; nine months later, Noor Theater had a public reading of those same monologues. Two years in a row, the monologues developed in both the Doll‘s House and “Places of Pilgrimage” workshops were read by professional New York actors, rehearsed, and put up in an evening of scenes and monologues. 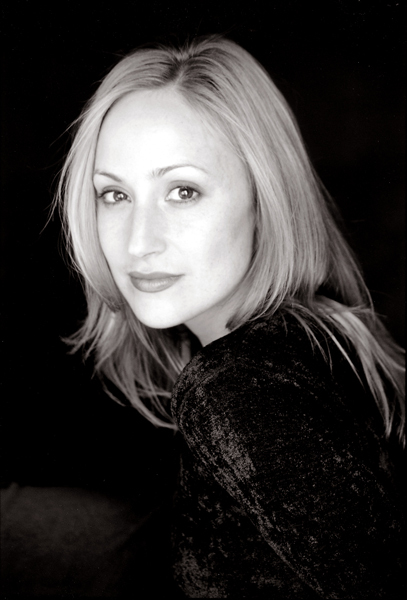 For more information on Heather Raffo, Epic Theatre Ensemble, Arab American Association of New York or Arab-American Family Support Center please visit: http://heatherraffo.com/; http://www.epictheatreensemble.org/; http://www.arabamericanny.org/; http://www.aafscny.org/. Heather Denyer is a PhD Candidate in Theatre at the Graduate Center, CUNY, working on her dissertation, “Re-Defining Gender and Sexuality in New Francophone Theatre in Sub-Saharan Africa.” Her recent presentations and publications include “Seeing Music in New West African Theatre,” Equinoxes Conference, Brown University (2016); “Togolese Puppetry of the Oppressed,” Annual Austin Conference, University of Texas (2016); “Re-Defining African Puppetry Traditions,” National Puppetry Festival, University of Connecticut (2015); “Review of The Routledge Guide to Puppetry and Material Performance,” Theatre Journal, 2015; “The New Traditional Puppetry of Werewere Liking,” Puppetry International, 2015; “Looking Queerly for Feminist Spaces in Koffi Kwahulé’s Les Recluses,” ATHE Conference, Scottsdale (2014); and “Subversive Performativity: Performances of Racine’s Hysterical Women,” French Department Conference, Graduate Center, CUNY (2014). Heather has an MFA in Dramaturgy from Columbia University and a BA in Dramatic Literature from Northwestern University. She served in the Peace Corps in Cameroon from 2003 to 2005.